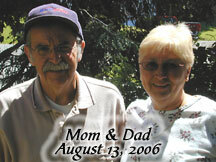 "Had a Dad" Alzheimer's Blog: when should Alzheimer's patients stop driving? when should Alzheimer's patients stop driving? Researchers are working on some sort of test to definitively say when a given AD patient should stop driving. "Typically, specialists say, patients gradually scale back their driving, avoiding busy freeways or night trips or left-turn intersections." My dad did that. He stopped leaving town and driving on the highway. Then he wouldn't drive on Route 5 (not a highway, but a busy major street in our town). He would actually drive up the hill from his house, across town, then down the same hill on a different street just so he could cross Route 5 quickly to get to my house rather than drive a few blocks on it! Working on ways to help similar patients, Dawson's team (of the University of Iowa.)... developed an intricate behind-the-wheel exam: A 35-mile drive through rural, residential and urban streets in a tricked-out Ford Taurus able to record just about every action the driver takes, much like an airplane "black box" does. Lipstick-size video cameras were positioned to show oncoming traffic, too. I've seen things like that--Mythbusters had a similar rig when they tested how distracting talking on the phone is while driving. The results, reported in the journal Neurology (PMID: 19204261), are striking. On average, the Alzheimer's drivers committed 42 safety mistakes, compared with 33 for the other drivers. Lane violations, such as swerving or hugging the center line as another car approaches, were the biggest problem for the Alzheimer's drivers. They performed 50 percent worse. I see elderly people all the time driving like this. They get on the highway going about 20 miles an hour and hug the line. Where are these people's families? As part of the study, they also did various memory and neurological testing on the people to see if any test could predict the outcome of the driving test. Standard neurologic tests of multitasking abilities did (make a difference), ones that assess if people's cognitive, visual and motor skills work together in a way to make quick decisions. ...Alzheimer's patients ... who scored worse than average tended to commit about 50 percent more errors on the road, Dawson says. But they weren't able to come up with a simple test any doctor could administer, yet. It was hard to get mums dr to see that she needed to stop driving, she was pottering around town so slowly and she was a real hazard on the road, but she couldn't see it. In the end I just took the car keys from the house. I could not live with myself if she had caused an accident or hurt / killed someone. I just had to make the decision as she still presented reasonably well at that stage but she really was an accident waiting to happen. I think if family start thinking it's time they stopped driving , it iS! The idea that they can drive safely close to home is a myth, they can still cause a serious accident close to home. With everything else, I just can't imagine having that struggle with my mother who has Alzheimer's - she has never driven. I'm new to your blog and have just subscribed! When we were wondering how to get my father to stop driving, he "lost" his wallet (tip of the hat to whomever it was that made that happen.) He had to go to the DMV to renew his license and had to take the test. It was heartbreaking to watch him struggle for two hours. When he was finished, he had gotten every single question wrong. He didn't drive again. Tough end of independence for a WWII fighter pilot. I strongly suggest the Lost Wallet solution to this problem.